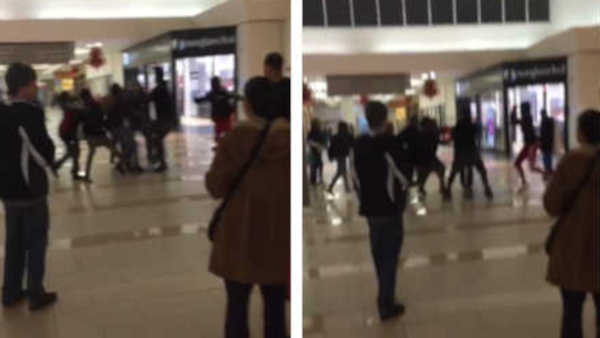 EATONTOWN, New Jersey (WABC) -- A 15-year-old boy is in custody in connection with the Saturday night stabbing of another boy at the Monmouth Mall in Eatontown. The suspect was taken into custody without incident Monday. The victim was stabbed in the mall after authorities say a verbal altercation quickly turned physical. The victim was transported to Jersey Shore Medical Center for treatment of a collapsed lung, and is still recovering in the hospital. The identities of the suspect and victim are not being released due to their age. Anyone with additional information pertaining to the incident is requested to contact Det. Aaron Shaw at 732-389-7644.